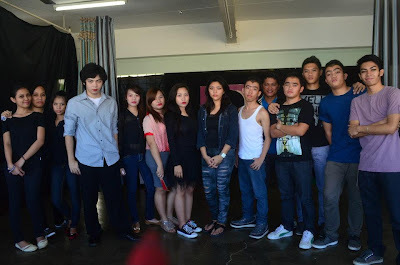 For our English class, we had to present a play in partial fulfillment of our subject's requirements. We didn't want to be boring nor did we want to present an existing play and so my friend who has a knack in script writing, Janine, came up with Jubella (Juliet+Bella) and Romward (Romeo+Edward). Romward and Jubella is a parody of both Twilight, and Romeo and Juliet. Jubella is a vampire who is carrying the name of the Draculets, and who happens to fall in love with a cowardly werewolf, Romward, a son of the Moontagues. Both Draculets and Moontagues hated each other and tried to break the relationship of Romward and Jubella. As they were about to fight for their names, the Hunters headed by the hunter leader (who basically is fond of hunting werewolves and vampires) appeared to kill both clans. The two families joined forces instead in the hope of killing the hunters before they get killed themselves. Since Romward is a coward, he hid himself throughout the battle while Jubella had to deal with the hunter leader. Jubella was knocked down by the hunter leader and that's when Romward blew his top (and it's funny because in our play, he really blew his top, LITERALLY). Romward defeated the hunter leader but was awfully wounded during the battle. In his last breath, he went closer to Jubella thinking it's okay to die as long as they're together. Minutes passed, Jubella gained conscience and saw the dead body of her lover. She then tried killing herself by waiting for the sun to rise. Years passed both characters are reincarnated and by fate, they met each other again. I was asked to play the main role, Jubella. 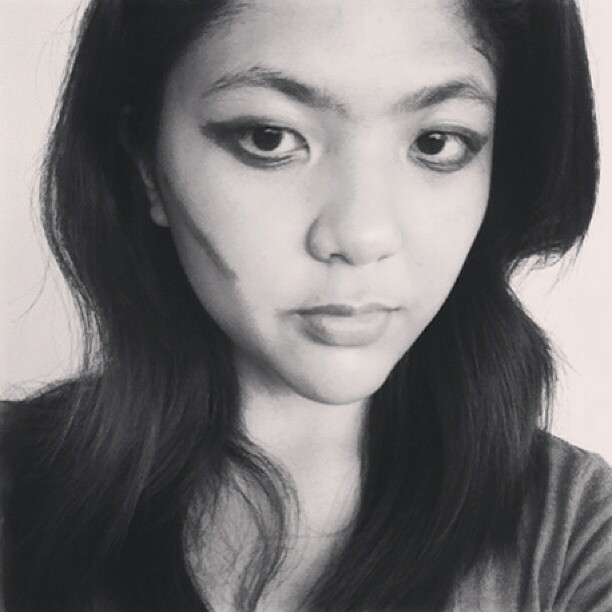 We practiced for few rounds and I realized I'd do better as the antagonist's role. 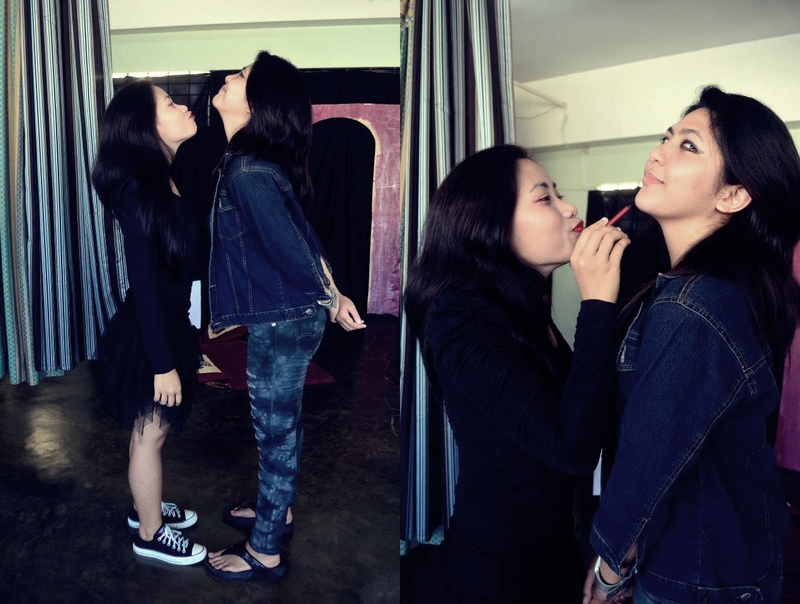 I asked Janine's permission to switch my role with Anamae, who was playing the antagonist's part as of that moment. To my surprise, I felt all natural and better doing the hunter's role and so I kept it towards the actual presentation. FEAR ME! I'M THE HUNTER LEADER! Jubella and the Hunter leader goofng around before the play started. 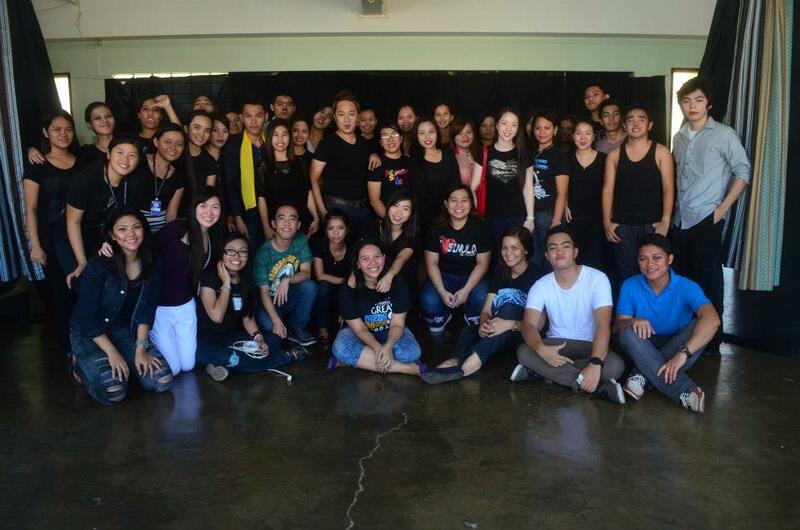 The whole class with Sir D.Corbita. If I could grab a copy of the documentation of our presentation, I'll post it up here so you guys can see our play. We also did a harlem shake cover to release and say goodbye to those sleepless nights of preparing everything in place.